More and more of our friends are choosing a different kind of celebration for their birthdays. It is heartwarming to see that there are people out there who are ready to give to those who cannot afford to give them back. Last weekend, on Sunday the 13th of January, Toyin Eribake turned 30 years old. He decided that he wanted a different kind of celebration for his landmark birthday and chose to visit the CCC Respite Home with his friends. The FLA Kids introduced themselves to their new friends, and told them of their aspirations in the future. 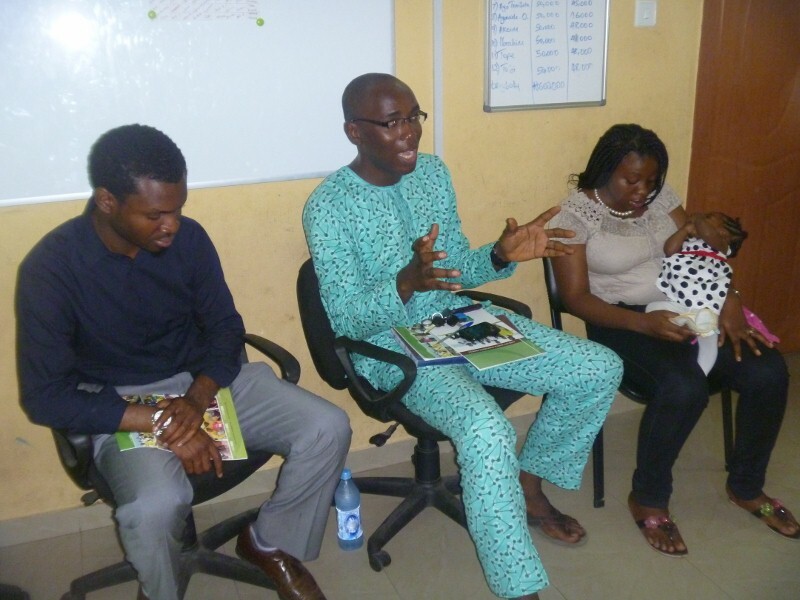 Toyin and his friends also introduced themselves, and shared insightful counsel with the boys, so that they will make the most of their time in the Home. Ufuoma presented a card to the celebrant on behalf of the boys and the staff, and prayed for more favour in the lives of the celebrant and his friends. 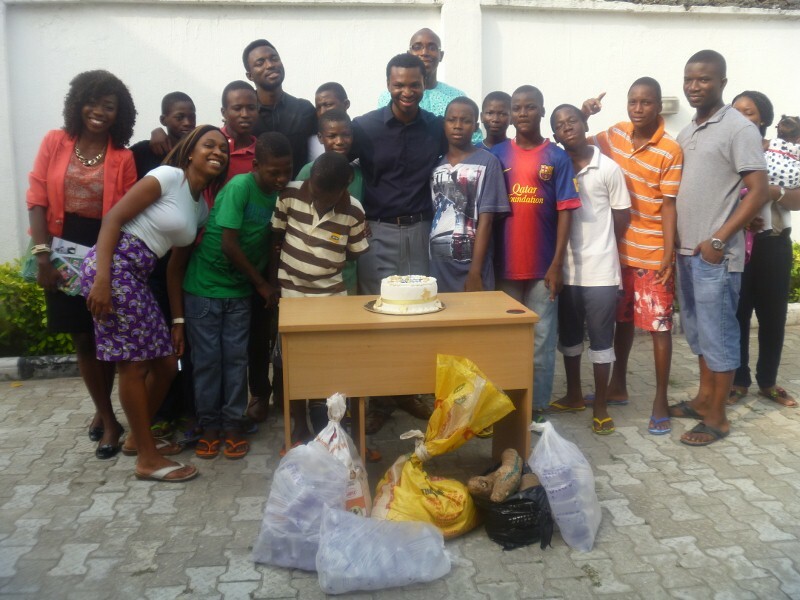 The group of friends brought a bag of rice, a bag of garri, a bag of yam and bags of pure water for the Home. They also brought a lovely, tasty cake to share. After they were shown around the Home, and the CCC Initiative was explained to them, the group sat for a dance presentation by some of the boys. They later joined in and danced together. Then everyone went out to cut the cake and take group photos. It was a really special day, that the boys will hardly forget. Not only did he come to share with the FLA Kids, and party with us, Toyin wanted to make sure that more people are informed of our work and the needs of these children. He enlisted the support of several of his friends, who are now donating to the Foundation! This is really great news, and a good way to make a celebration last beyond the day, or month or even year. The impact of Toyin’s coming will be felt for years after his visit, because of his initiative and commitment to making a difference. 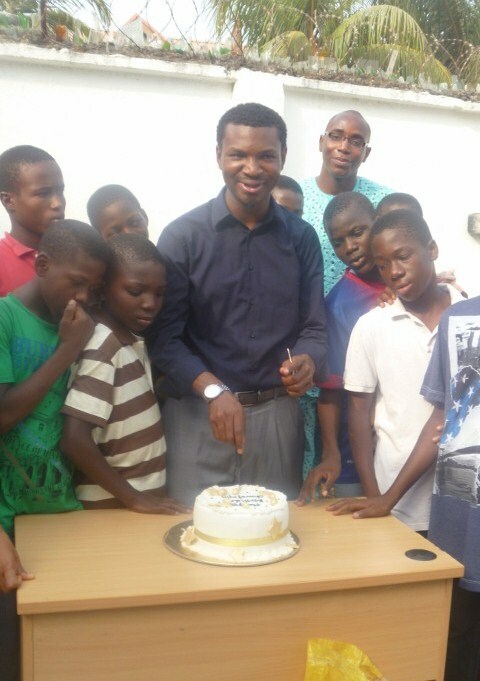 Fair Life Africa Foundation is thrilled to have a friend like Toyin, and wish him many more fruitful and life-impacting years. We wish him fulfilled dreams and prosperity in all his endeavours! We are also grateful to his friends, Tosin Alabi, Tolu Cole and Mr and Mrs Ola Adetula, for coming along to spread cheer and encouragement to the boys. God bless you all, and favour you with friends who will stand beside you in your time of need. Previous Post Fair Life Africa is TWO!! !